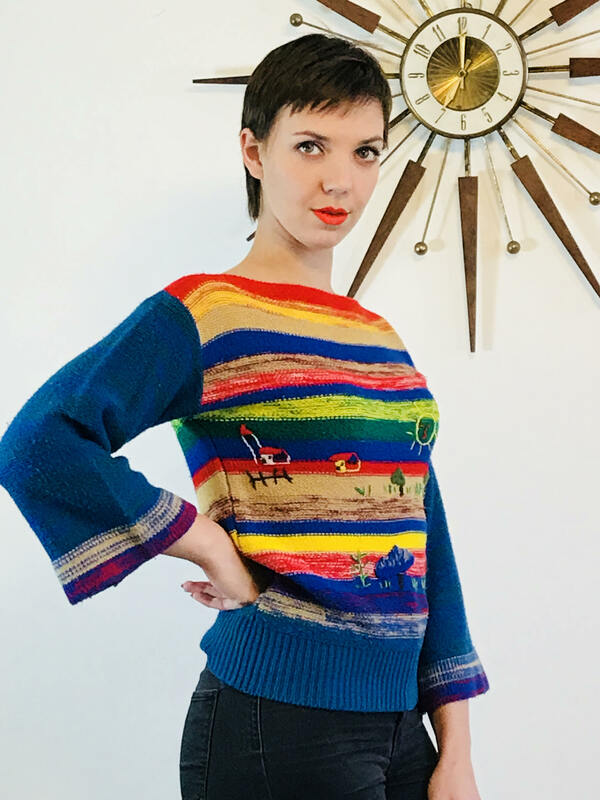 This is the cutest vintage 70s sweater! 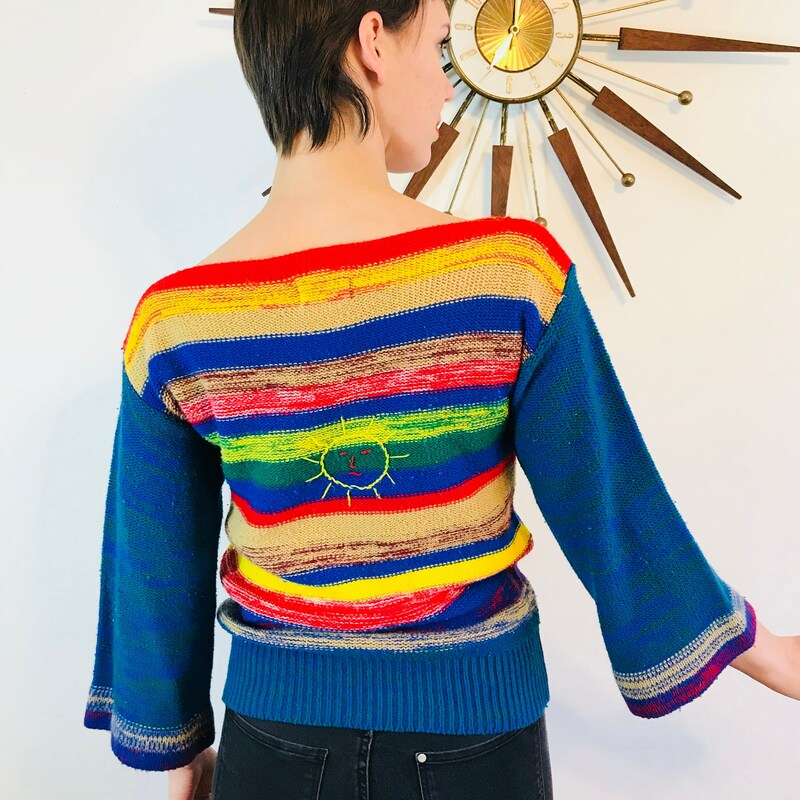 This embroidered hippie sweater is so colorful with rainbow Colored stripes! 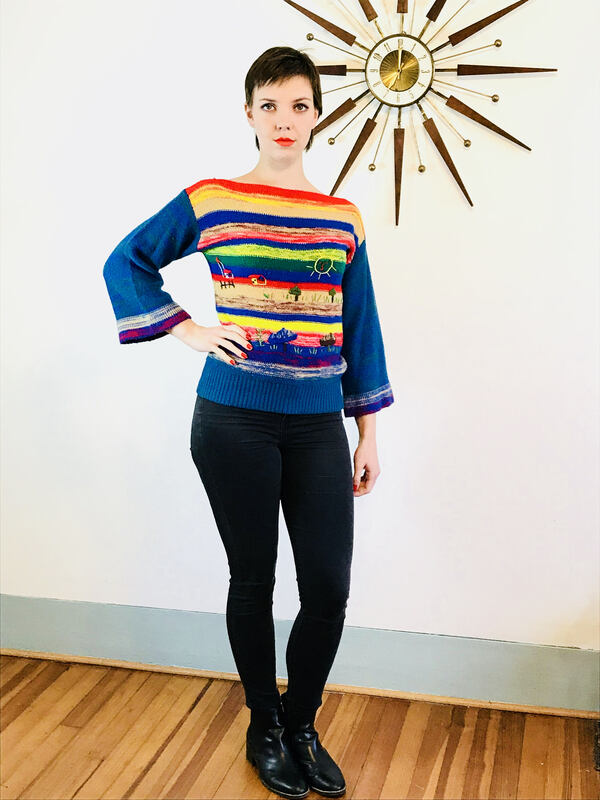 This bright 1970s jumper has big bell sleeves and a boatneck collar. 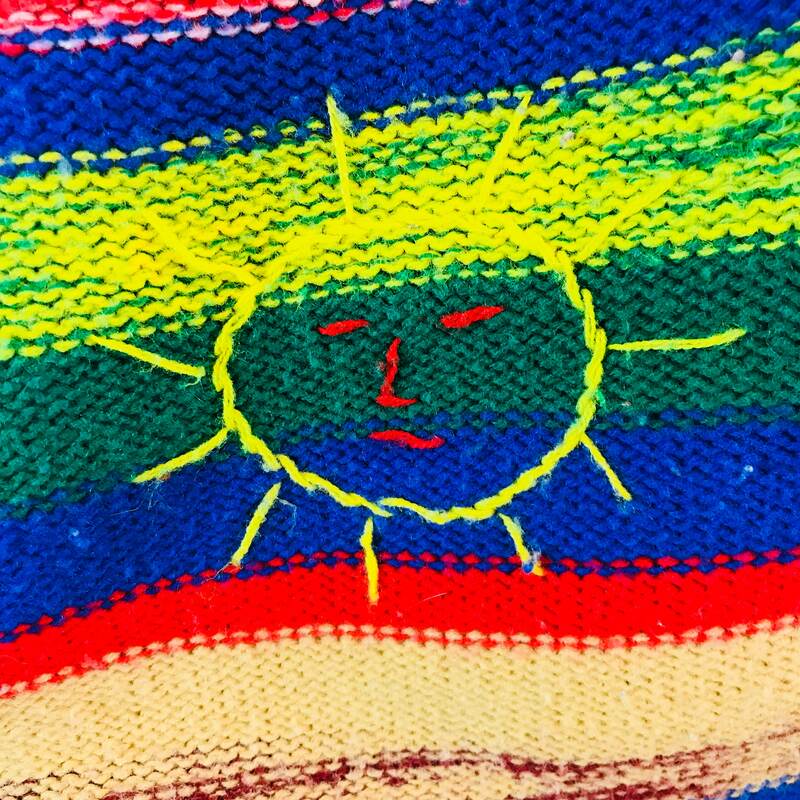 The funky hippie embroidery includes a smiley face sun on front and back, trees and a house! 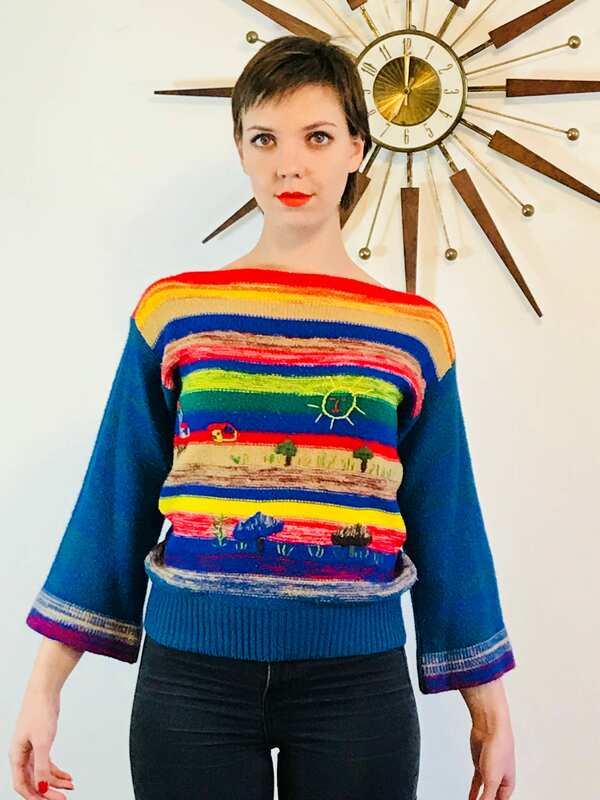 This is a women's cut pullover and is so sweet! 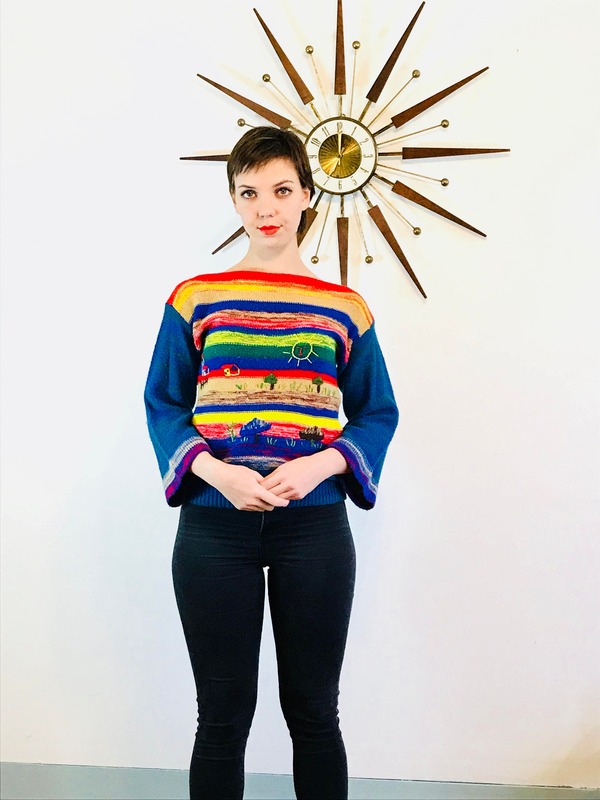 This embroidered pullover knit top is from the 1970s and has an open boatneck and wide bell sleeves! 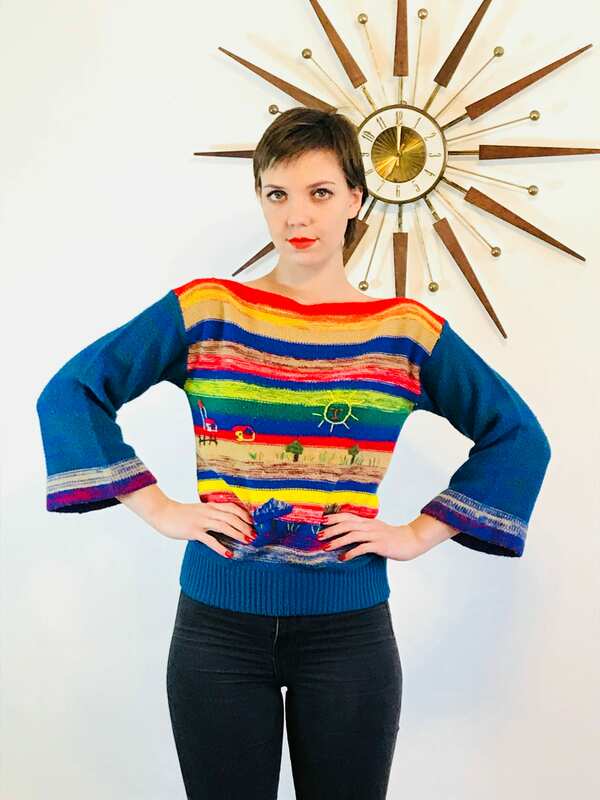 Model Measurements: bust:34", waist:28", hips:39", height:5'7"
CONDITION: Very Good! 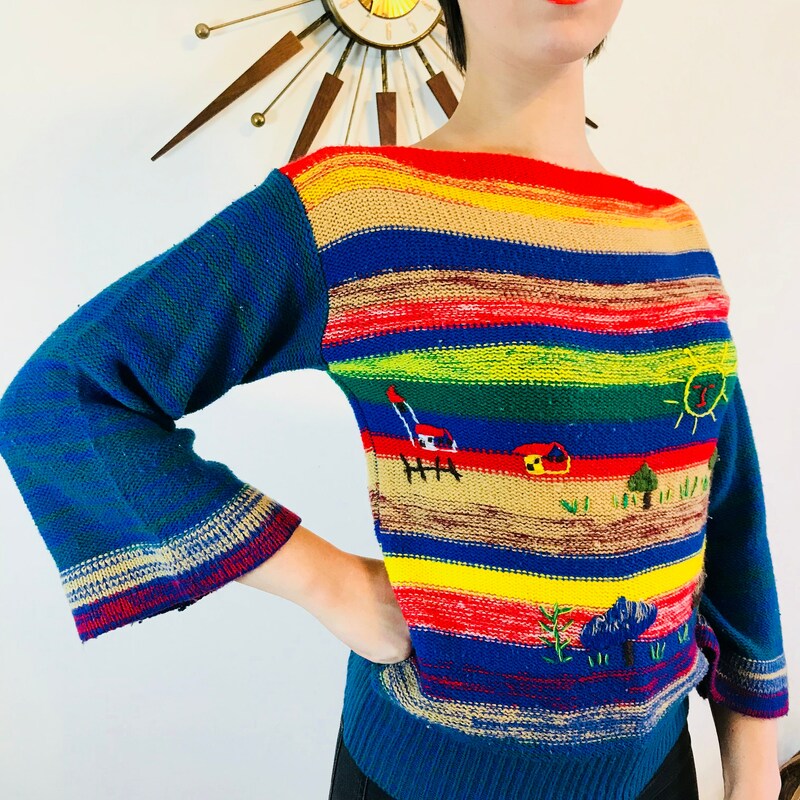 Has balling, and a few snags. 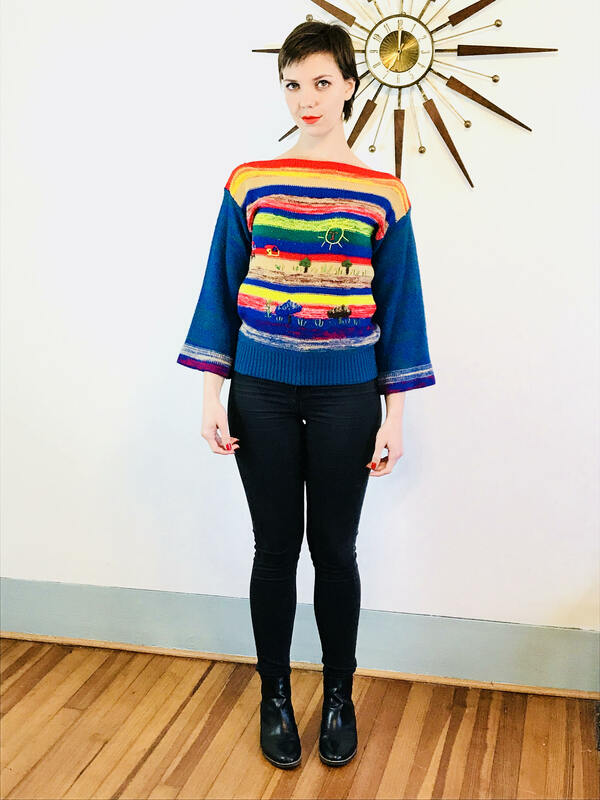 No holes or stains!